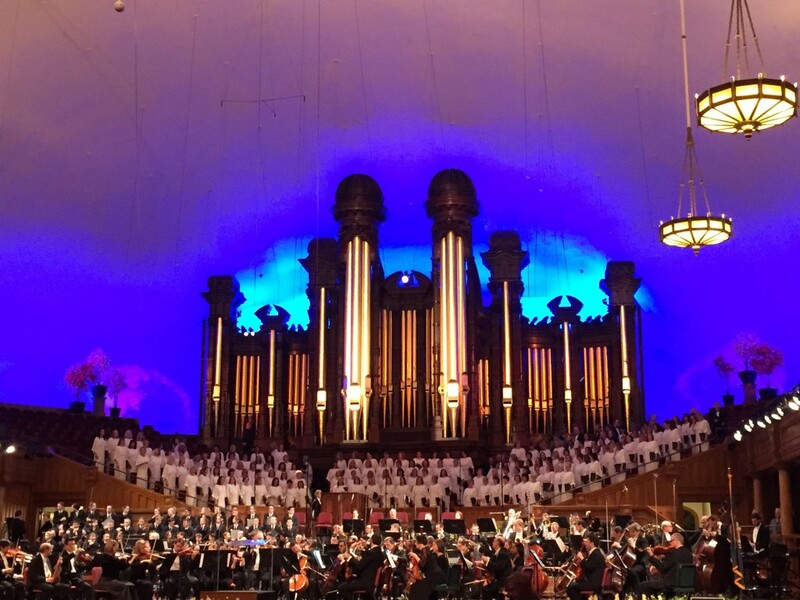 For the seventeenth time, the Utah Symphony and Mormon Tabernacle Choir joined together for the O.C. 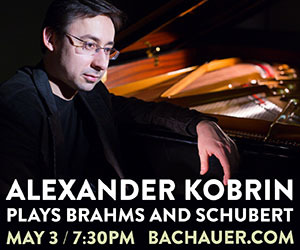 Tanner Gift of Music series on February 19 and 20, 2016. The annual weekend of concerts are free to the public and represent “friendly and beautiful occasions that are memorable…a bit of happiness” explains the concert program. Held in the Salt Lake Tabernacle, the recurring event is part of O.C. Tanner Company’s commitment to donating 10% of profits to noble causes and represents the vision of founder and Utah philanthropist Obert C. Tanner and Gordon B. Hinckley, president of The Church of Jesus Christ of Latter-day Saints. The two were lifelong friends and neighbors who established the annual event in 1983 to foster unity and shared community through performing arts. The 2016 O.C. 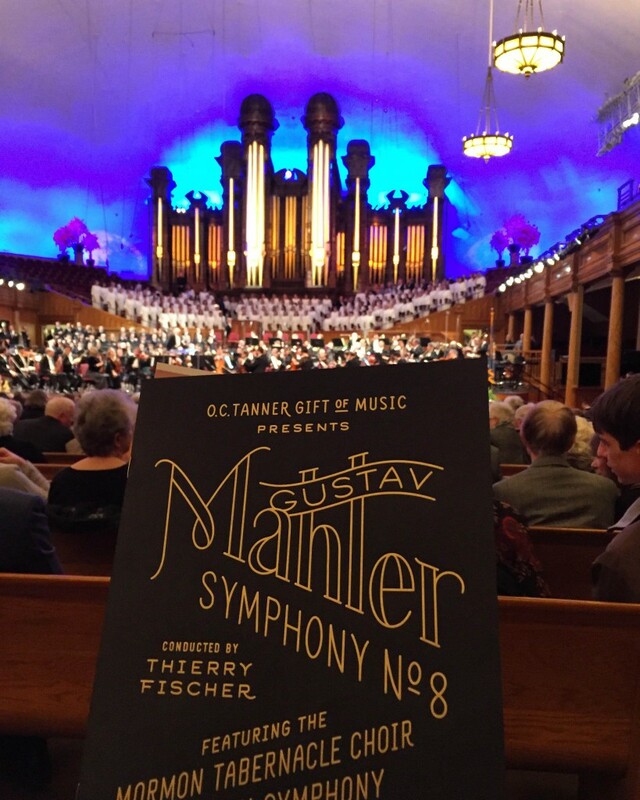 Tanner Gift of Music event featured the Utah Symphony, Mormon Tabernacle Choir, eight soloists and The Madeleine Choir School—an amazing collaboration of musicians who came together for Mahler Symphony No. 8. 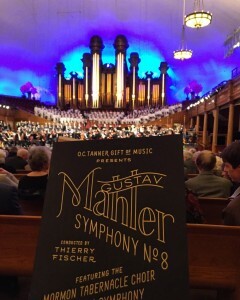 Utah Symphony music director Thierry Fischer conducted. Mahler’s Symphony No. 8 is nicknamed “Symphony of a Thousand” in part because of the tremendous number of people needed to produce the work. In fact, the first performance of this symphony took place in 1910 and did include around 1,000 members—150 in the orchestra, 500 in the adult choirs and 350 in the boys choir. This February’s performance featured the always awe-inspiring Mormon Tabernacle Choir, 50 voices from The Madeleine Choir School and eight renowned soloists, Orla Boylan, soprano; Celena Shafer, soprano; Amy Owens, soprano; Charlotte Hellekant, mezzo-soprano; Tamara Mumford, mezzo-soprano; Barry Banks; tenor, Markus Werba; baritone; and Jordan Bisch; bass; all heightened by the talents of the Utah Symphony musicians. The “Symphony of a Thousand” highlights the human voice as a symphonic instrument. And although Mahler was a great opera conductor, he had abandoned the idea of writing his own opera early on. Yet Symphony No. 8 represents an opera in the second half in the final scene from Goethe’s “Faust Part II” with named characters and plenty of drama in the music itself—which communicates redemption through the power of love and faith in the eternal human spirit. Mahler’s Symphony No. 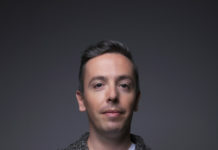 8 was previously presented by the Tanner Gift of Music series in 2002 with Keith Lockhart conducting, and honors the legacy of former Utah Symphony Music Director Maurice Abravanel—who first conducted and recorded the work with Utah Symphony in 1963.